I wanted a reasonably priced binoc. Usually, you get what you pay for, so, for the price I half-way expected marginal quality. At this price, though I thought I'd take a risk. I was pleasantly surprised. The lenses are good and clear and the zoom works well. The only issue is that they are not exactly parfocal, but close enough, You just have to do a minor focus adjustment when zooming. 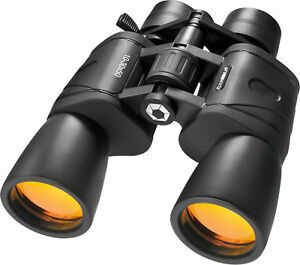 These binocs are good value. 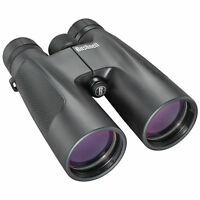 I am very pleased with the Barska AB10168 10-30x50 binoculars that I purchased. They are easy to focus, the object is very sharp, even when zoomed all the way. They came way earlier than I expected,which is always a plus. 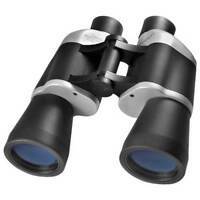 I really like them and would recommend them to anyone needing a good pair of binoculars. All in all, I'm pleasantly surprised and happy with my purchase. I would totally recommend them to anyone needing a really good pair of binoculars. Can't beat the price either! Single Power is Probably Better. I was not familiar with this brand, but after purchasing them for a friend I found them to be seemingly well made. I was also not familiar with the 10-30 power magnification feature, but the lever control slides smoothly and seems to work as it should. My friend asked for this style (10-30X) specifically and I must say that I would not buy them for myself. Focus is good up to about 25 power and then it begins to get fuzzy, not clear enough for my liking. But I have heard that this is a characteristic of this feature not atributable to this brand alone. Horrible optical/mechanical quality; Your eyes deserve better !! Review of Barska 10-30xZoom X 50 binoculars....I've given these every chance, but I'm sorry, they're horrible optical and mechanical quality...bought them after reading all these reviews, thinking I could trust them, and I even have a pair of Barska Marine 7x50's that are excellent optical quality, but now I'm wondering who's writing these reviews, the Barska marketing department?....What binoculars are they writing about, because it can't be the 10-30x x 50 Barska Gladiator's I have.... Very cheap feel, won't focus properly between eyes, no matter how much care and adjustment time you give it (and it shouldn't take time to focus binoculars anyway)...and forget zooming to 30x...bad goes to horrible....chromatic aberation really stands out then, colors on the edge of every image. And even at only 10x, there's no field of view...it's like looking down a tube or into a barrel. 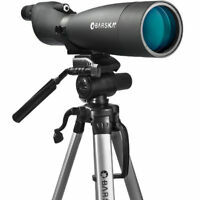 My $20 pair of Bushnell 10x25 travel binoculars are WAY better optical quality than this 10-30x zoom Barska model. Invest in better, your eyes will thank you ! 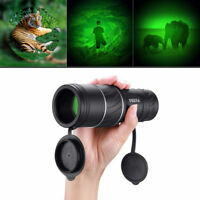 GREAT...easy to use, great zoom, complete satisfaction and shipped quickly. Great ... I purchased 2 other pair of binocular and could not find the satisfaction I was desiring. The Barska AB101168 NOT only met my expectation but surpassed them. Easy to use and great magnifcation, feels as if a TV camara just zoomed in on quarterback. 5 star in my opinion. Now my wife is wanting a pair.